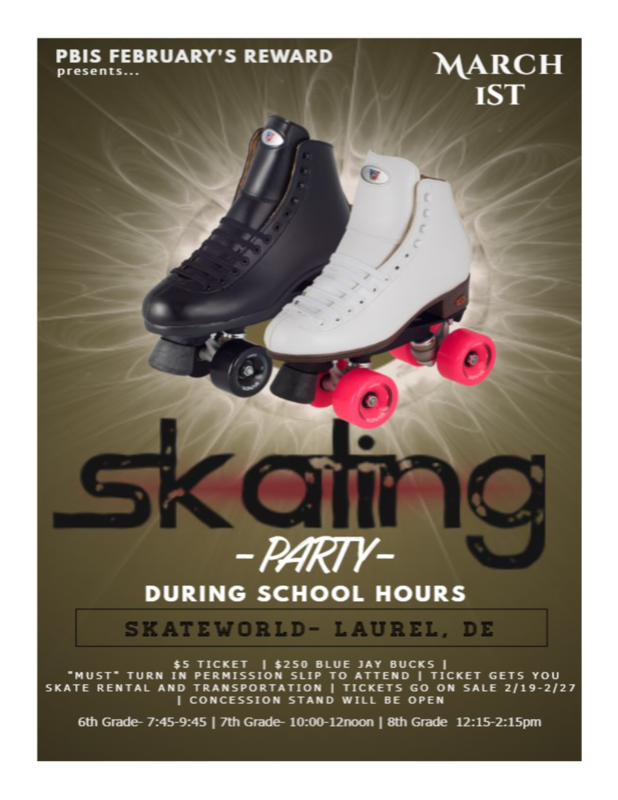 PBIS presents February's Reward for students without any referrals or infractions to our, "Skateworld" Party on Friday, March 1st, 2019. Permission forms "MUST" be turned in to attend. Tickets go on sale 2/19 - 2/7 during lunch shifts.